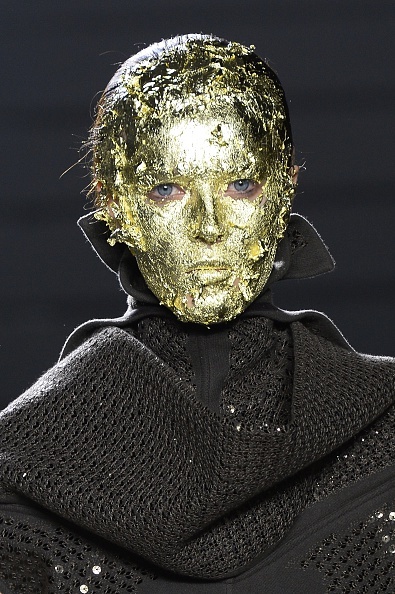 Making craft projects out of models’ faces is totally a trend on the runways right now, but it’s still a shock to see a girl’s entire head covered in gold leaf, as models were for Rick Owens’ show in Paris today. So what’s it like to have your face wrapped up in foil like a giant Cadbury Creme Egg? 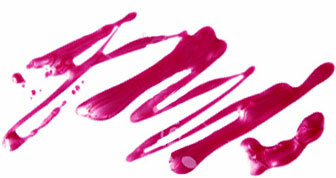 Elle.com scored an interview with one of the models, who explained exactly what she had to endure for the sake of art. Luckily, smiling isn’t allowed on the runway, anyway, right? And the gold leaf comes off easily with cleansing oil. At least it’s better than Legos?